At Consolidated Insurance, our belief has always been that we best serve our clients as not just a broker, but as a partner in helping their businesses better manage their risk. To that end, we’re proud to introduce MyWave Connect, a time-saving online resource that puts clients in control of customized compliance information and much more. We’ve already discussed CSR 24, our online portal for documentation like insurance certificates and driver ID cards (if you missed it, read about CSR24 here). 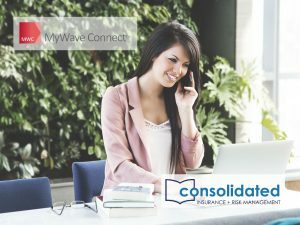 MyWave Connect takes that concept several steps further: more than a convenience, it’s a fully customizable resource to help your business streamline time-consuming tasks associated with safety and compliance. Take control of compliance – Find valuable resources about OSHA, safety regulations and much more, get answers to common questions and have access to a variety of forms, notices and disclosures. Access sample policies and procedures – There’s no need to reinvent the wheel by starting from scratch. Find examples of safety policies, templates for safety manuals and more … a huge time-saver. Create and maintain a safety culture – You’ll find employee safety resources, benchmark surveys, workers’ compensation information and much more. Find what you need when you need it – MyWave Connect is a vast repository of thousands of easily-searchable resources. 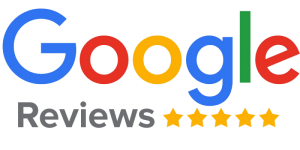 The search will even take your own preferences into account so you find the information that’s most relevant to your business. Stay up to date … – The latest news and regulatory information and updates, again tailored to your specific needs. … wherever you are– And all of this is easily accessible from your mobile device. Safety and compliance issues can be huge consumers of your precious time, and the picture is always changing. We believe that MyWave Connect is a game-changer for your business, streamlining some of the most difficult tasks and keeping you abreast of the very latest information and requirements. Let’s talk about making your day easier … contact Consolidated Insurance today.